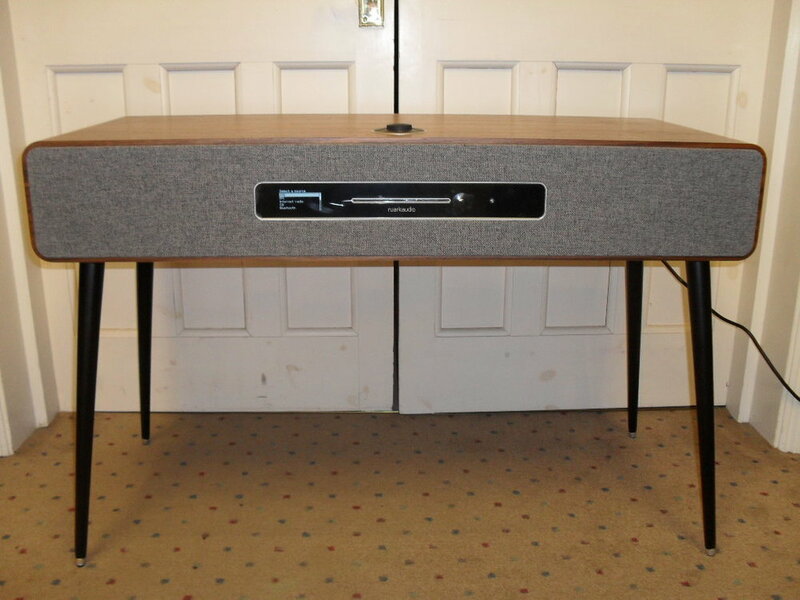 Pro-ject Jukebox E - Instant Vinyl Replay Hi-Fi System - Just Add Speakers! 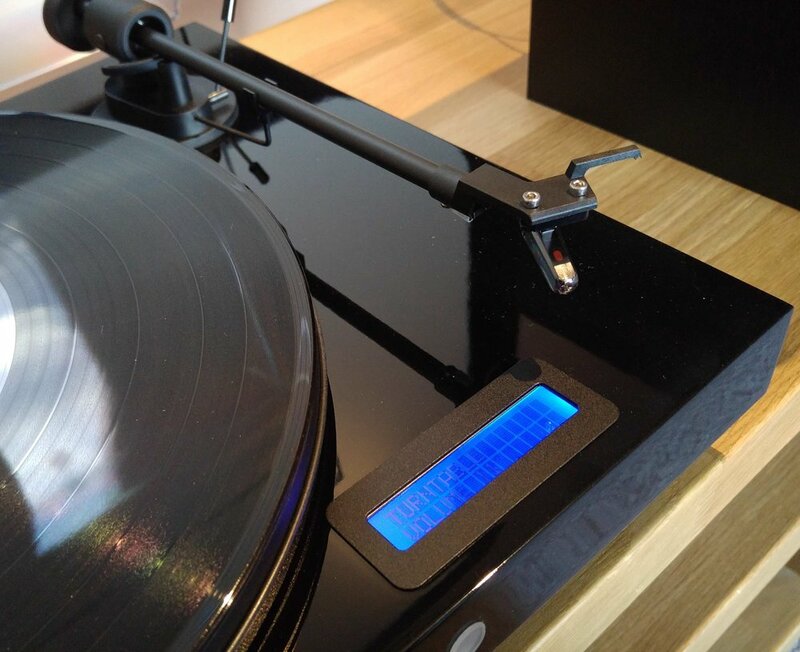 Pro-ject audio systems have always strived to make excellent vinyl audio quality as accessible as possible and by creating the Jukebox E take this a step further by providing a everything you need for excellent vinyl sound in just one box. The business of listening to music on vinyl is one that nearly always involves at least a few boxes e.g. turntable, phono stage, amplifier and speakers and of course all the cables in between! This can sometimes put people off as equipment can take up a fair bit of space which can sometimes be at a premium in front rooms and of course the collective cost of the various components! Pro-ject audio Systems have come up with an elegant solution to this by combining their expertise in high quality entry level turntables, phono stages and amplification to come up with the Pro-ject Jukebox E.
Along with a pair of suitable speakers the Jukebox E is a complete vinyl and Bluetooth playback system. The turntable itself is based on Pro-ject's hugely successful Primary turntable, modified to fit the Jukebox chassis. 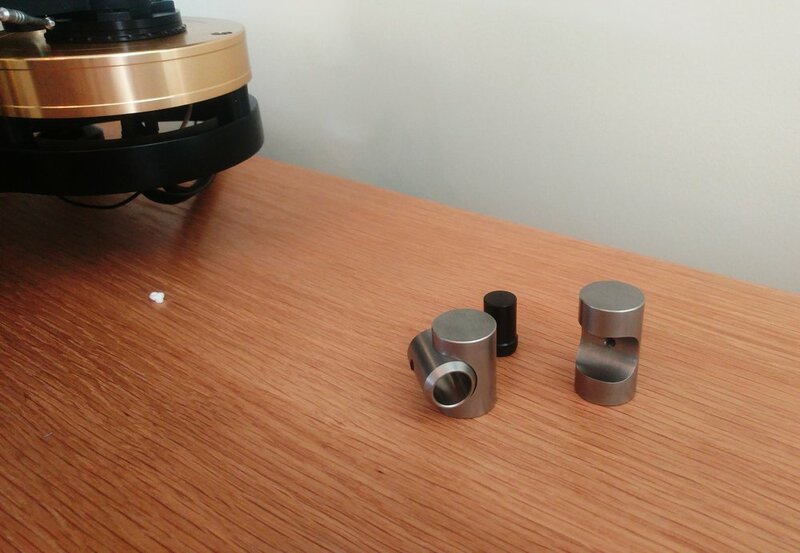 The arm is a 8.6” and made from aluminium with sapphire bearings with an Ortofon’s excellent OM 5e cartridge pre installed. 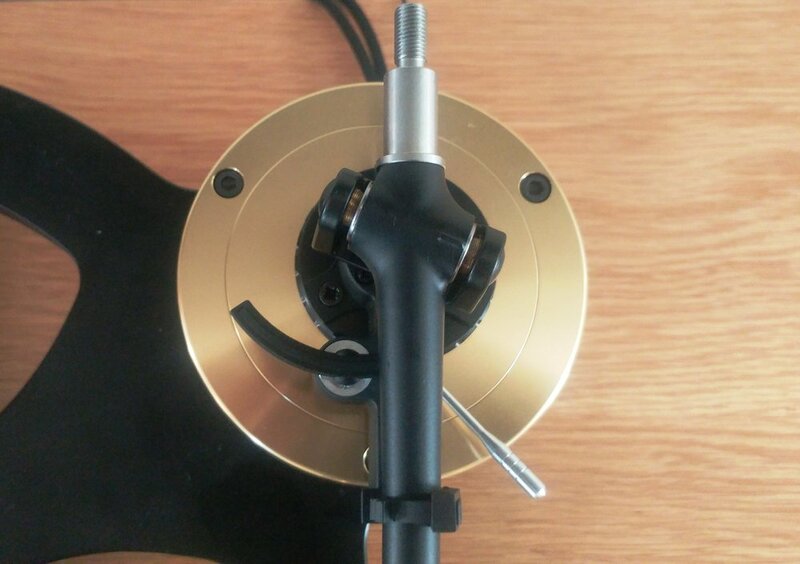 It is a belt driven turntable with a low-vibration synchronous motor with very reliable speed stability. In the interest of keeping things simple there is next to no setup needed straight out of the box, with only the belt being separate and needing to be installed. The Jukebox E also features a Bluetooth input, handy for those times you don’t feel like getting out of your chair to turn a vinyl over! Being able to control music through your Bluetooth enabled smart device gives the Jukebox E plenty of versatility. 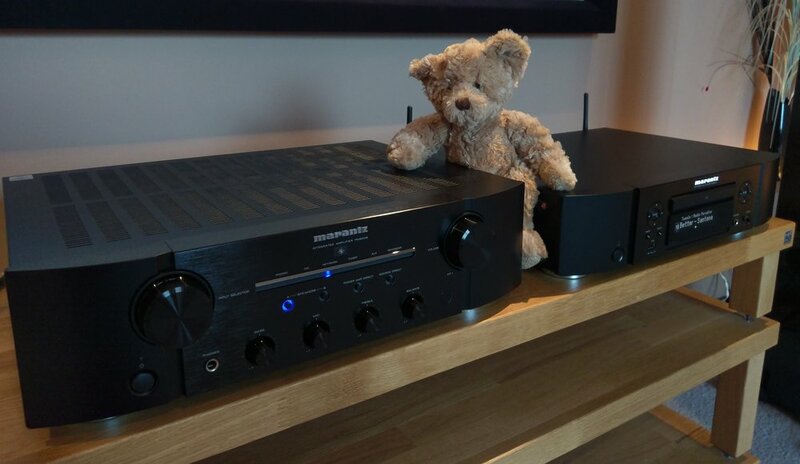 A line level phono input on the back also allows you do add any other sources you would like such as a streamer or CD player, while a line level output means you can add a headphone amplifier or integrate into a larger system. The system boasts a surprisingly powerful 50w in to 4 Ohms per channel integrated amplifier which has a moving magnet phono stage built in based on Pro-ject's brilliant Phono Box technology. We find the Jukebox E very easy to operate; there is a clear display on the front that has the volume and current input which are controllable either from the front panel or the supplied remote control which also gives you some customisation with the sound by adjusting the bass and treble. 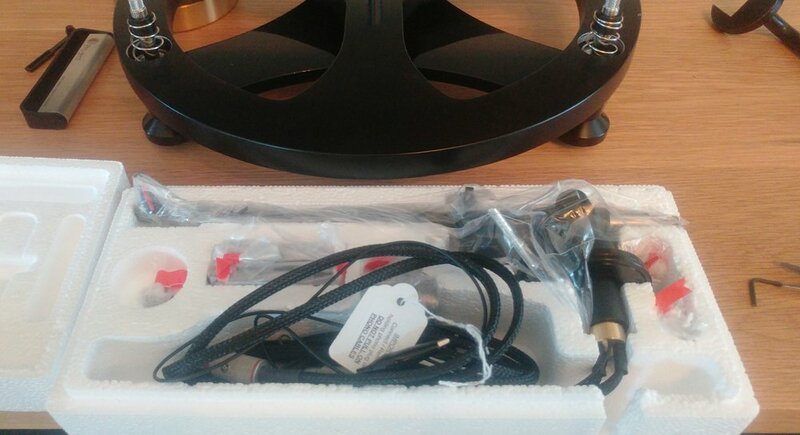 Build quality is also very impressive the sturdy, heavy high gloss plinth, special decoupling feet and removable dust cover all give you the impression of a premium piece of equipment which is only helped by the small details like the high quality display and luxury aluminium pulley. There are any number of loudspeakers that can be paired with the Jukebox E, though typically keeping with the theme of saving space you will most commonly see them paired with small bookshelf speakers. We have found fantastic results with the Dali Spector 1 and Dali Zensor 1. This is a combination that produces an impressive large sound, a surprisingly deep bass response, plenty of detail and a better sound stage than you would expect from such a small and reasonably priced setup. If you are just starting out in vinyl or want a ‘second room’ type system but want to keep it small and simple then the Pro-ject Jukebox E is the perfect product for you, the fact that is is an ‘all in one’ system does not mean there is any compromise on the quality you get out of the system, just add speakers and you are ready to listen to some music! 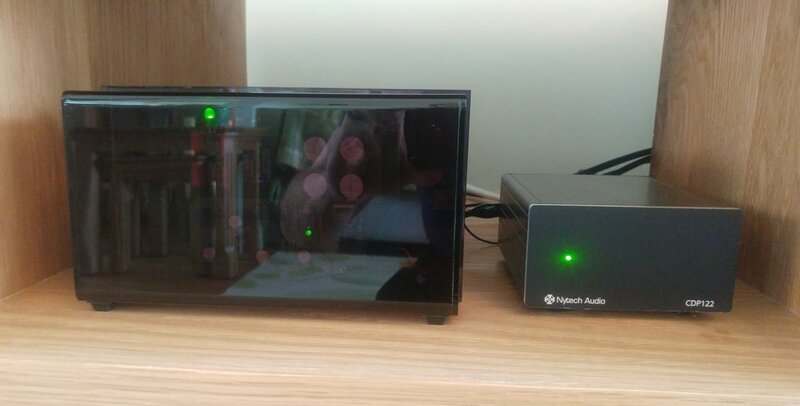 The Jukebox E is well worth a listen and is in our store as well as a large range of loudspeakers to pair with it and find the combination that suits you the best, please get in touch to book a demonstration. 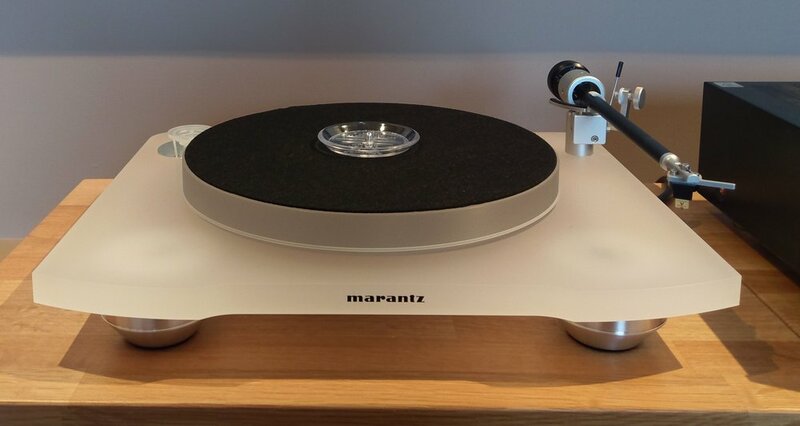 If you are interested in vinyl but do not have the space for a big system, have a look at a fresh release from Pro-Ject. This isn't just a turntable but comes complete with an amplifier built in so all you need to do is add a pair of speakers and some of your favourite records. The Pro-Ject Jukebox doesn't stop there though, this clever device also has a Bluetooth receiver built in so that you can stream music to it from a mobile device that gives you access to a streaming service music or a network storage device if you use one. 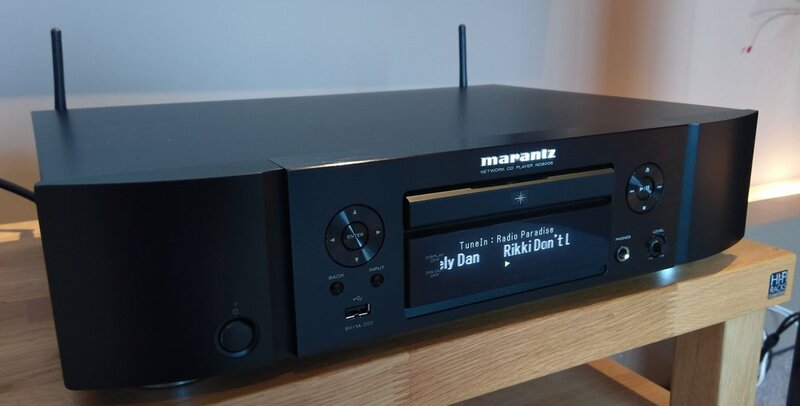 The amplifier in this turntable system solution is rated at 50 watts per channel and comes with a remote control allowing you to control not only the volume and switching between inputs but also the bass, treble, loudness and even mute features with ease. 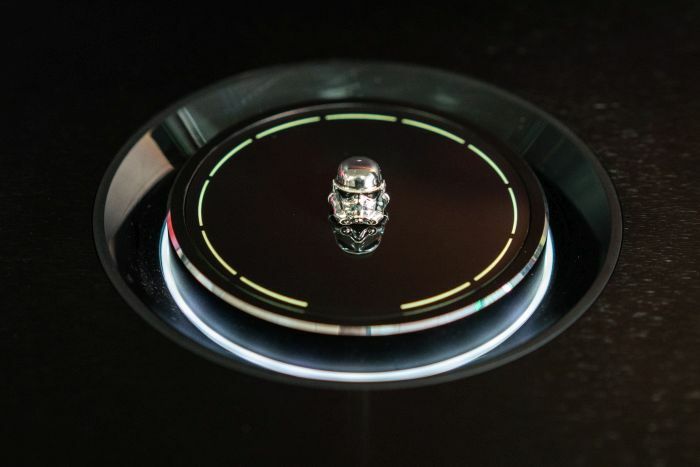 There is an illuminated display on the turntable also for those times that you might not be able to find the remote quickly. 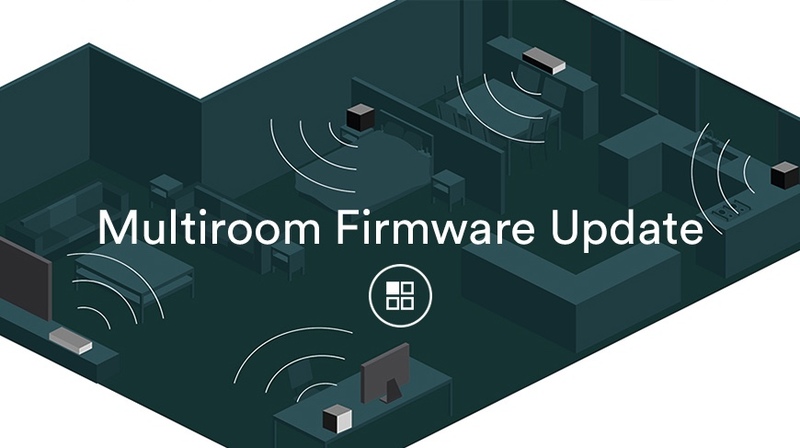 It also has an analogue RCA input so you can connect other devices such as a CD player if you so choose. 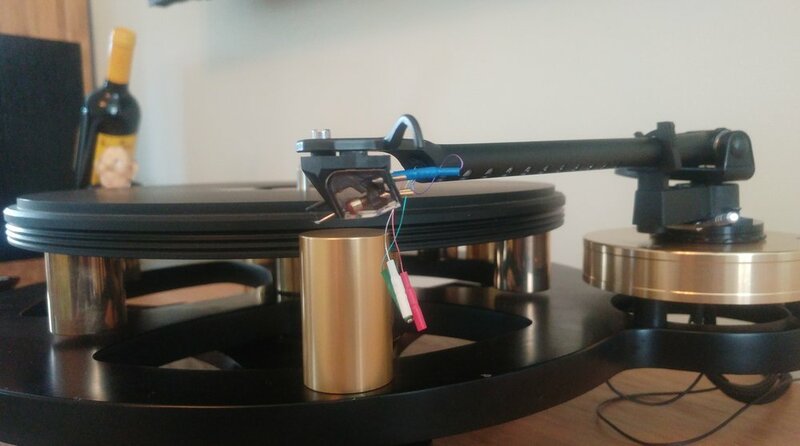 The arm is already set up and balanced ready for use with the Ortofon OM5E cartridge that is supplied and fitted as standard. This Pro-ject Juke Box record player system is available in 3 different finishes, Black, White and Red all of which are high gloss finishes. Come and have a listen and bring a few of your favourite records. Project have come up with a devilishly simple little all-in-one vinyl replay system. The Juke Box E is a fully featured Project turntable with all the technical know-how of that great company. On the surface it looks like a traditional offering typical of Project. 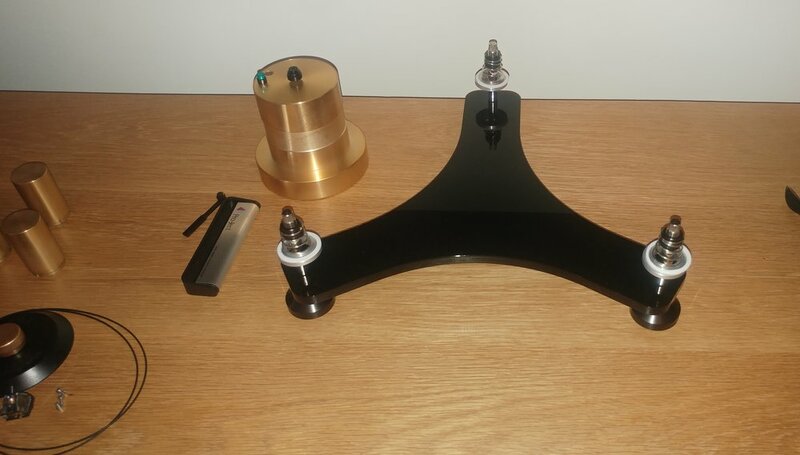 The turntable is nicely finished in a high gloss black with a clear acrylic lid and the pulley outside the platter to make speed changing simple. Dig a little deeper however and you'll realise that this is, in fact, a turntable system! In the Juke Box E we have a turntable with an integrated amplifier, so all you have to do is add some speakers to make music in any space and for relatively little outlay. The display shows source and volume, there is a remote control and a manual volume knob on the front of the unit. Sources are line in and Bluetooth so a full mix of old and new technology! 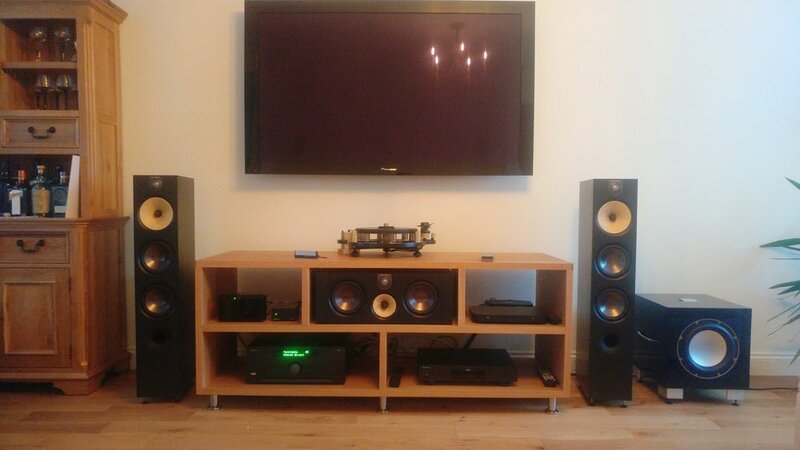 All that is needed to complete the system is a pair of speakers. We've had great results with the Zensor range from Dali pictured here, but the little amp is well capable of driving bigger speakers with aplomb. So all in all the Project Juke Box E is a stonking little hi-fi system, perfect for anyone with restricted space for components or on a limited budget and so much better than the many one box record players seen on the high street. Come and have a look and listen at Audio T Brentwood and we think you'll enjoy what you hear.